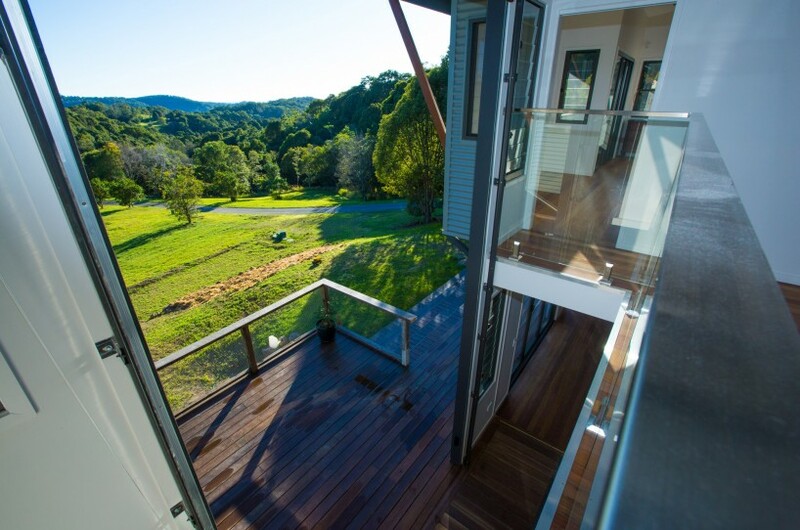 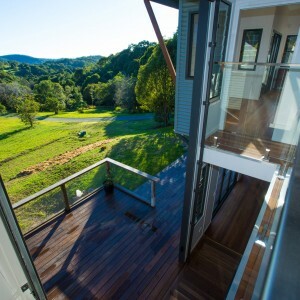 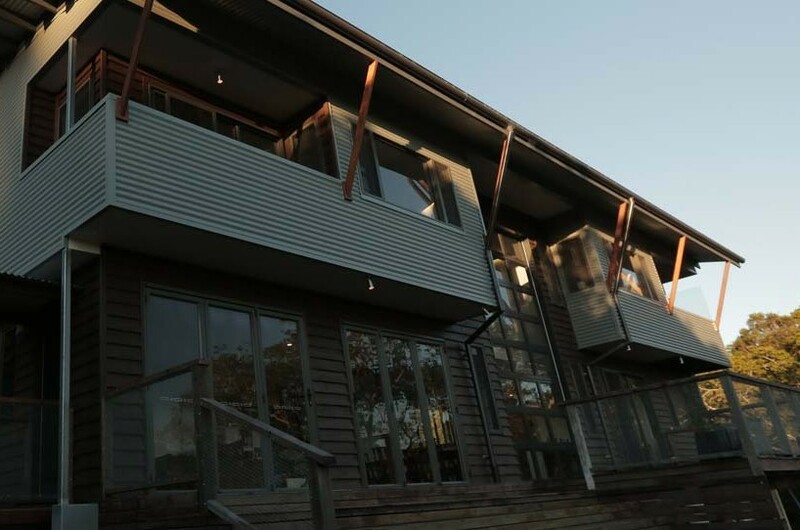 We were commissioned by clients for this sustainable home design in the Highlands at the Ecovillage in Currumbin Valley, on the Gold Coast. 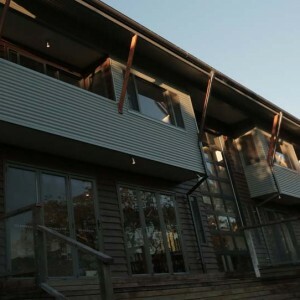 Our clients were in the process of relocating their growing family from Sydney to the Gold Coast. 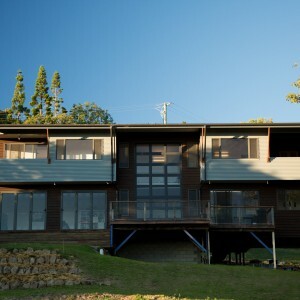 The project involved liaising with the clients in Sydney, and managing the process on the Gold Coast. 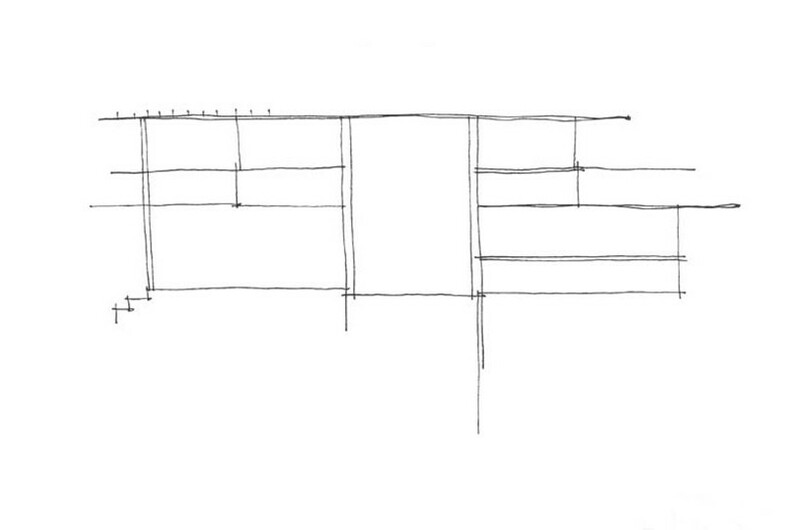 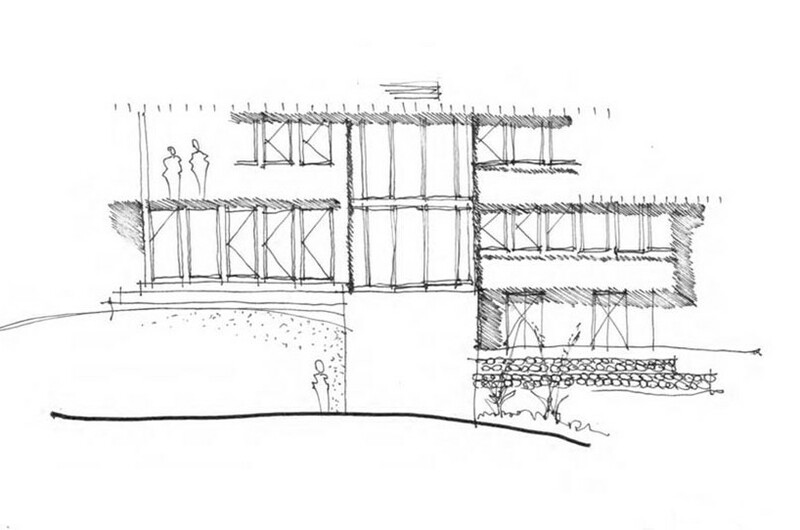 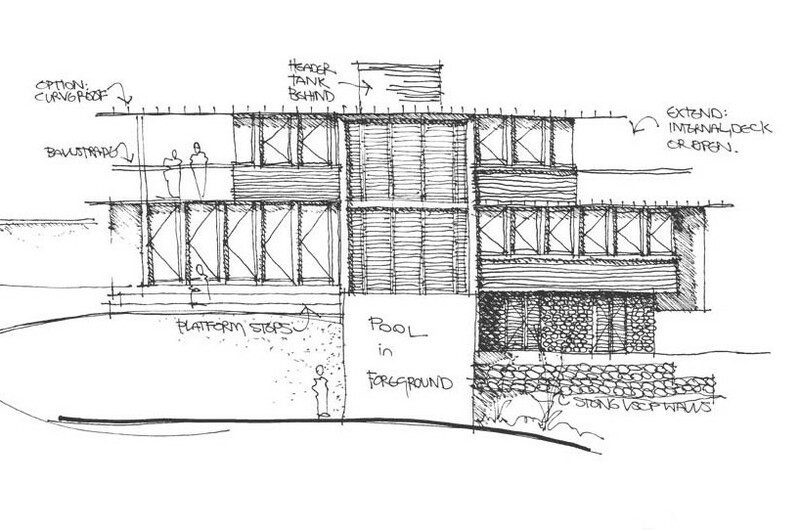 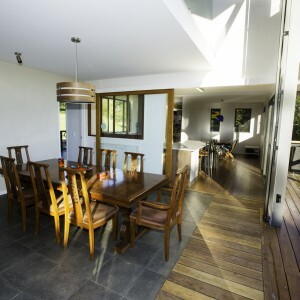 The home is designed around a central 2 storey core. 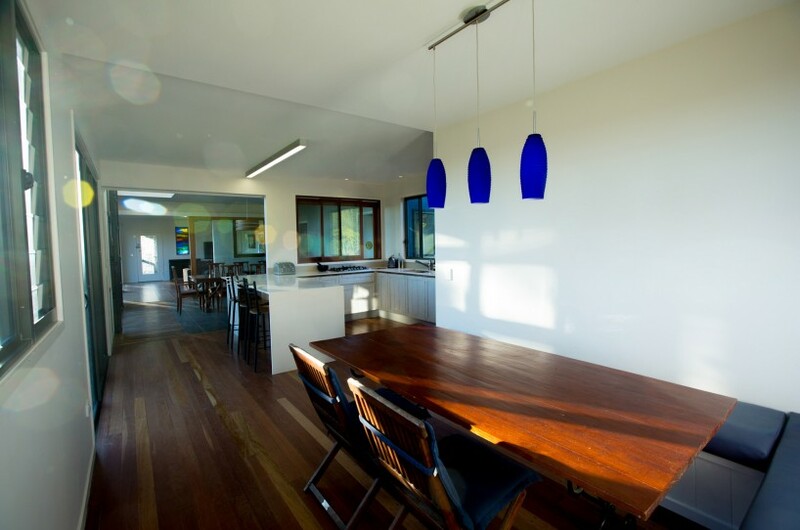 This is comprised of a dining room which is overlooked by a family room. 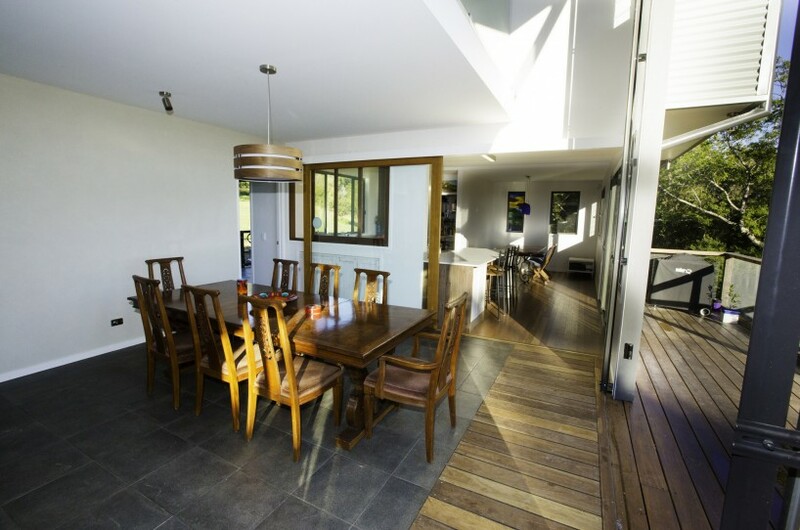 This 2 storey space opens north to the sun and breezes with a 5m high retractable glass door. 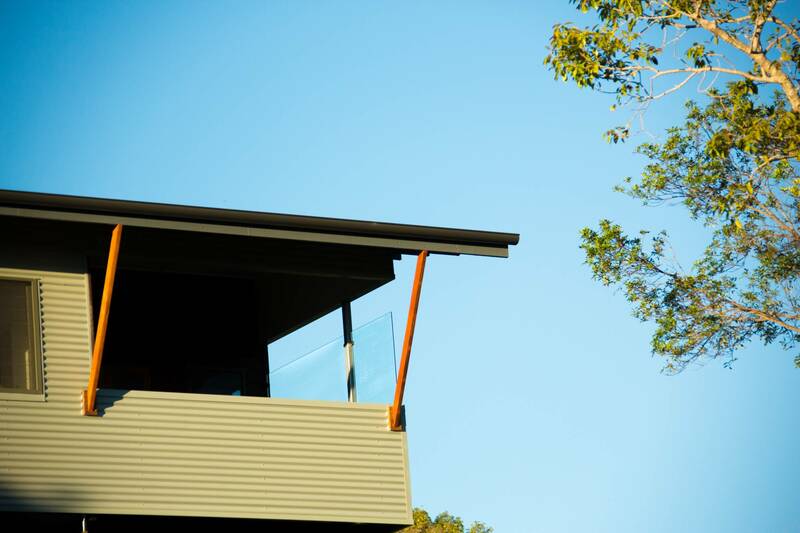 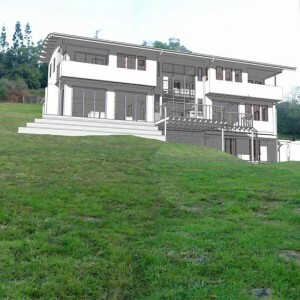 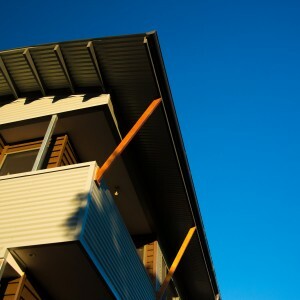 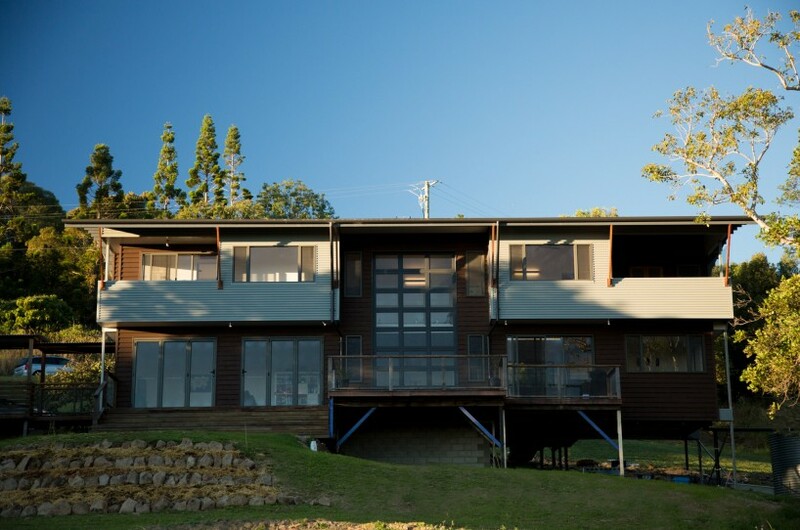 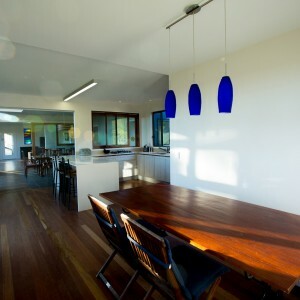 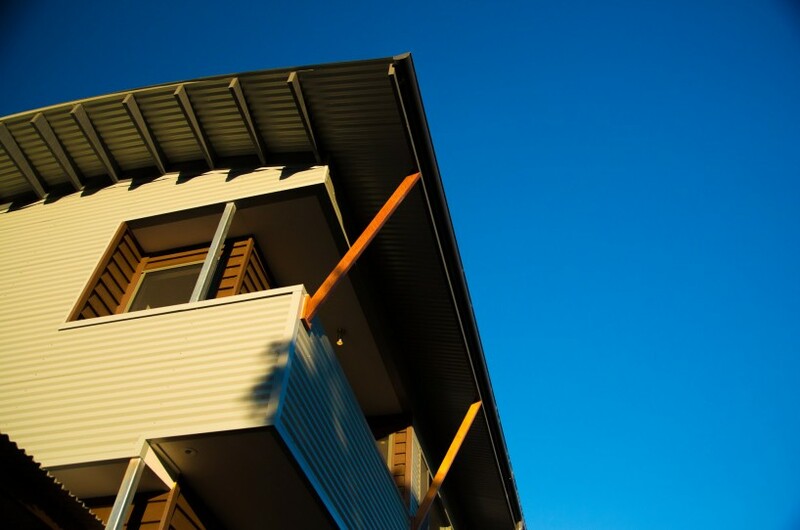 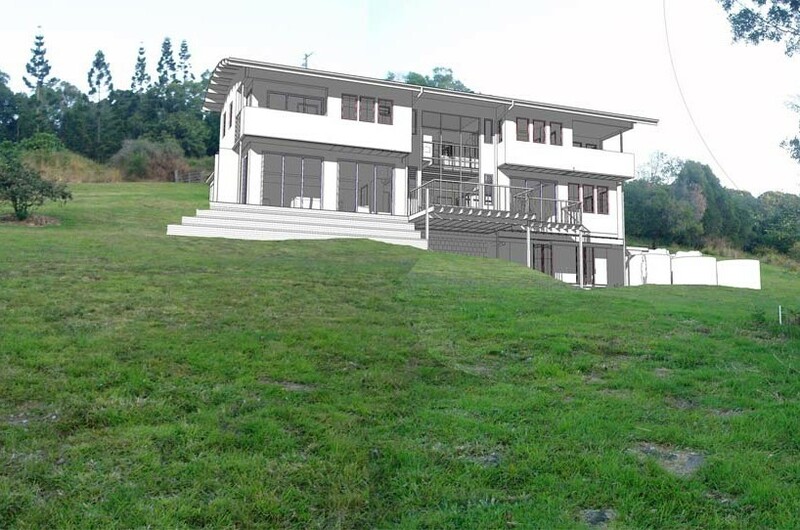 It also captures the panoramic views to the Pacific Ocean at Currumbin Alley, over both levels of the house. 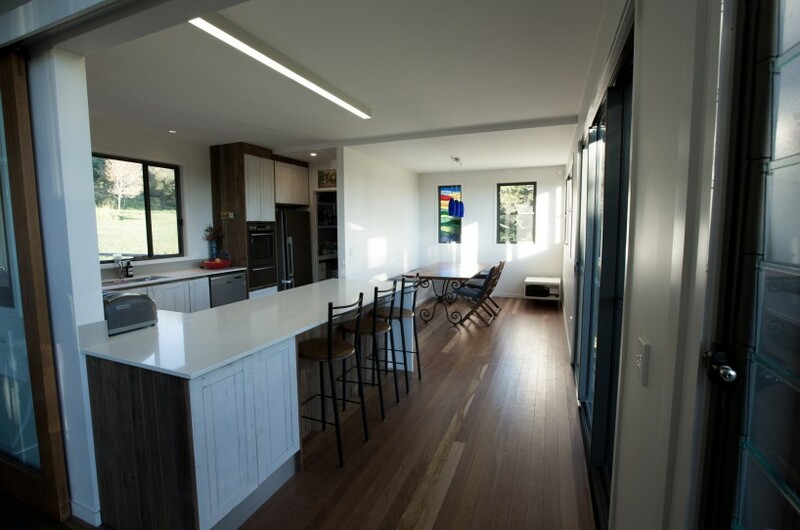 The house includes other features such as recycled timbers, custom leadlight windows, and feature recycled entry door, which the client sourced. 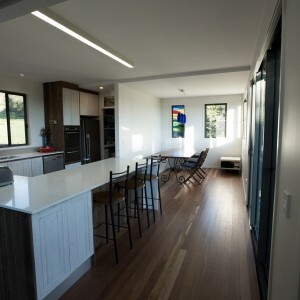 The house is designed to be staged to suit the clients budget, and incorporates systems such as on site sewerage, significant amounts of tank water storage, solar pv power and solar hot water. 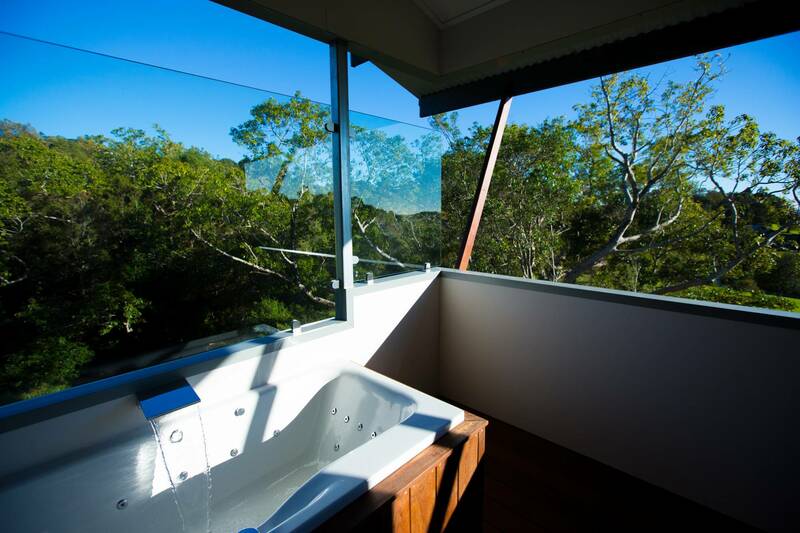 The home is designed to embrace both it’s view and site, including features such as an outdoor spa bath on the deck, with views to the ocean. Spa bath located on an upper storey deck, embraces views locally to the fig tree and site, as well as distant views to the ocean.